How do I buy The Exercise Coach Franchise? The total initial investment to open an Exercise Coach studio ranges from approximately $80,000-$300,000. You can choose from two business models: a Suite which is 800-1,200 square feet of office space and a smaller equipment package, and a Studio, which is 1,200-2,000 square feet of retail and features more fitness equipment. 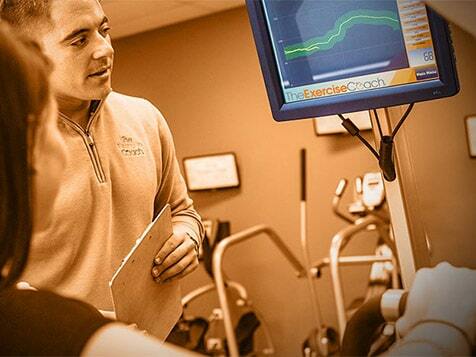 Talk to The Exercise Coach franchise team today and see which model is right for you. Low Cost, Simple and Profitable. The Exercise coach is a boutique fitness concept that offers Exerbotics, the world’s most advanced and data-driven exercise equipment platform. The Exercise Coach offers an exercise routine that dramatically improves the fitness of its members in just two twenty-minute workouts a week. This personal training method is particularly appealing to people over 50, but also attractive to folks who need to become more fit yet have resisted joining a traditional gym or have failed when they tried that approach. Open The Exercise Coach in any of these available states: AK, AL, AR, AZ, CA, CO, CT, DC, DE, FL, GA, IA, ID, IL, IN, KS, KY, LA, MA, MD, ME, MI, MN, MO, MS, MT, NC, ND, NE, NH, NJ, NM, NV, NY, OH, OK, OR, PA, RI, SC, SD, TN, TX, UT, VA, VT, WA, WI, WV, WY. What is The Exercise Coach? 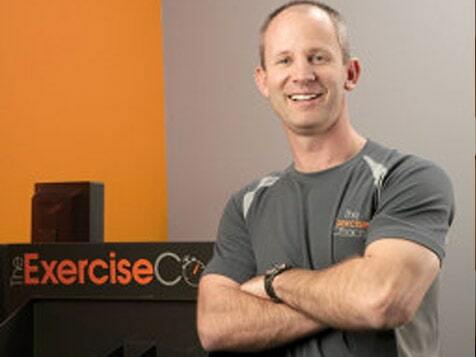 The Exercise Coach, A LOW-COST, SIMPLE and PROFITABLE franchise. This is a boutique fitness concept that offers personal training that is designed to be appealing to the over 50 market or for those who are to busy or don’t feel comfortable in the traditional gym setting. The Exercise Coach offers an exercise routine that dramatically improves the fitness of its members in just two twenty-minute workouts a week. 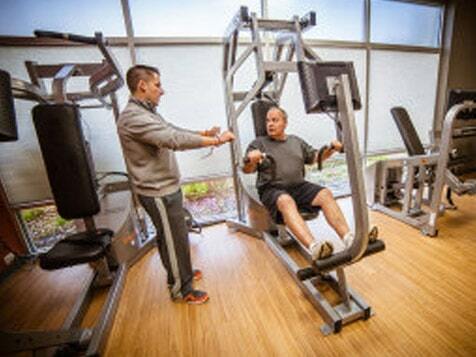 The workouts take place on a scheduled basis in a semi-private setting, where the members work directly with their “exercise coach.” The workout uses Exerbotic proprietary technology. Exerbotics is the world’s most advanced and data-driven exercise equipment platform. All the workouts evolve around the specialized use of this equipment. The Exercise coach is strategically positioned to take advantage of the growing 50+ population. This client base has been known to maintain their membership two years longer than the average tenure. With over 18 years in the fitness personal training space, The Exercise coach has become a premier brand in the exploding boutique fitness industry and has built a proven business model to support their numerous franchise owners. 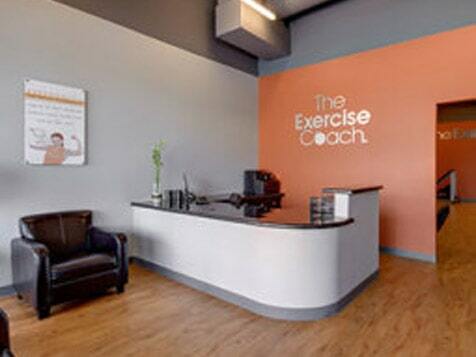 The Exercise Coach provides our franchisees all the tools needed to open and operate a successful training studio. Single unit and multi unit development territories are available in most of the United States. Multiple financing options are available through relationships with our vendors and banking partners. We’re not just looking for fitness people to be franchise owners. Our ideal franchisee is someone who would make a good Exercise Coach client. We’re most interested in finding quality people who understand the need for effective exercise in their own lives and would feel good about delivering it to others. Additionally, our business is one where the owner can work on the business rather than in the business. You’ll be hiring and managing others to deliver The Exercise Coach System to your clients, and they will receive in-depth training and certifications. This allows you to own more than one Exercise Coach Studio, if you so desire. Don’t let your lack of fitness industry experience make you feel disqualified – in fact, some of our most successful franchisees came from other professions. The Exercise Coach is not currently active in our directory, but here are some other recommended selections for you to explore.